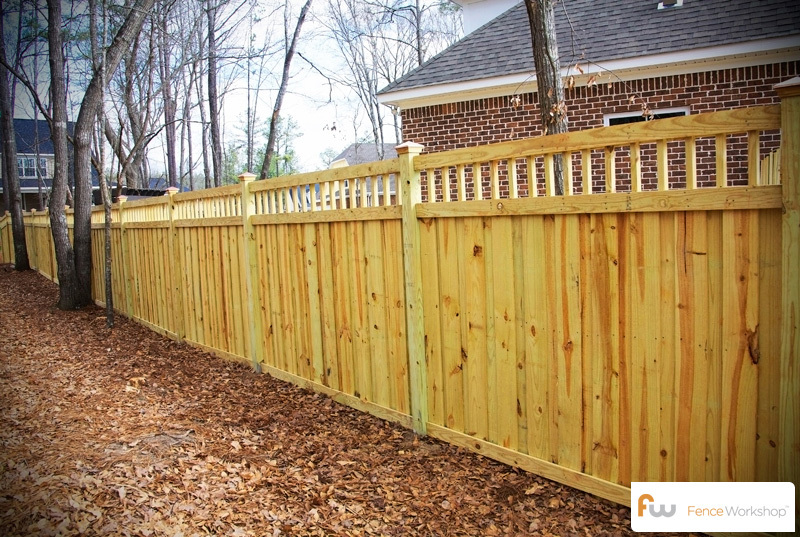 This 6′ tall privacy fence design is fully framed with MCQ™ pressure treated pine lumber. This fence uses concreted 4×4 posts exposed with caps,  horizontal 2×4 frame rails, 6″ pickets, 1×4 bottom fascia board, and vertical 2×2 lattice with 1×4 fascia boards. -4×4 concreted fence post exposed with caps.